We will gladly assist you in selling your home, condominium or other property. We are always looking for single family houses, townhouses, duplexes, apartments, condominiums and land plots to offer our eager customers. The most important thing you do when selling your home is choose a realtor that’s right for you. It is your agent’s job to work towards the very best deal for your home and to walk with you step by step through the process. You can rely on your Walzel Properties agent to offer the very best real estate agents in the area. A trained professional with up-to-date supplemental certifications, so you know you are in good hands. Once you have selected a realtor that is right for you, the two of you can begin talking about a marketing strategy. Take your agent on a tour of your home and listen to the tips she has to offer. You and your agent will also need to discuss when to put your home on the market and consider current market trends to decide what price to list your home. You can consult with your Walzel Properties agent who can help you better determine the value of your home. 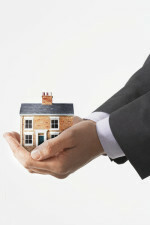 You will be contacted when someone makes an offer to buy your home. You and your agent will then review the terms and decide what is in your best interest. There is nothing more satisfying than knowing that you have someone negotiating for you on your behalf. Maintain professional objectivity, allowing you to make the final decision. After an offer is accepted, your real estate agent will manage the remaining details, making the rest of the process as efficient and stress-free as possible. If there are any complications, your agent will notify you immediately. Once both parties have signed the contract, the lender will release the funds. You will, of course, receive copies of all legal documentation. Call us at 713 504-4874 or contact me online to find out more about tips and tricks on improving your "curb appeal."